Plan_Singleton – ThermoBuilt Systems Inc. 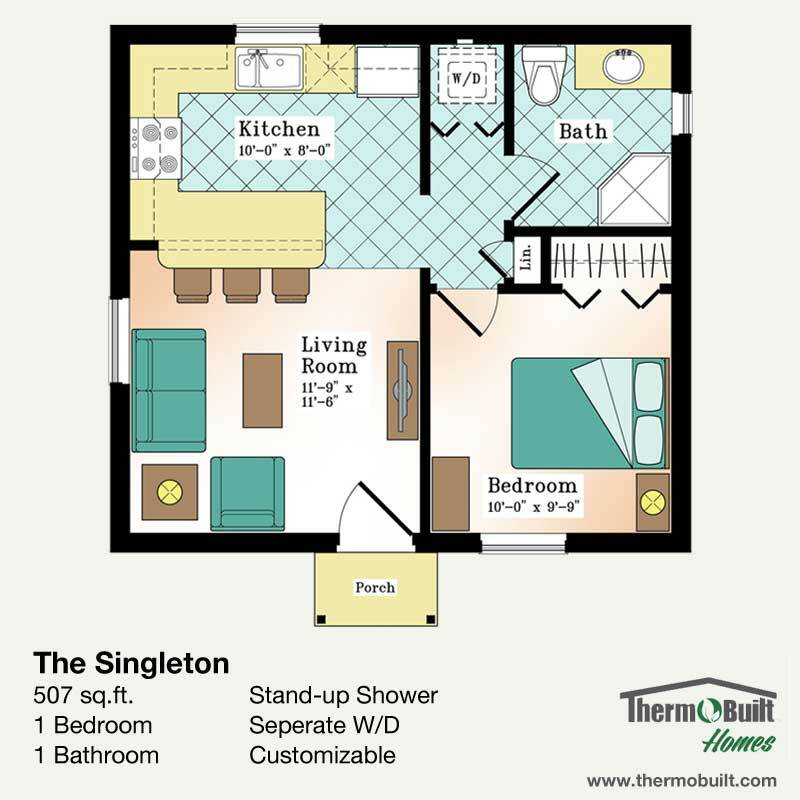 The Singleton plan is our most popular tiny home. Offering 507 usable square feet, the Singleton perfect for cabins, tiny homes, or guest homes. Eight feet standard walls give you airy cathedral ceilings. This plan separates your bedroom from your living area for added privacy. A full bath completes this home. A highly functional kitchen layout with space for a breakfast bar gives the Singleton plan functionality and great use of small spaces. The Singleton’s use of standard dimensions make construction of your Singleton shell fast and easy. This plan is a great fit for Do-It-Yourselfers.